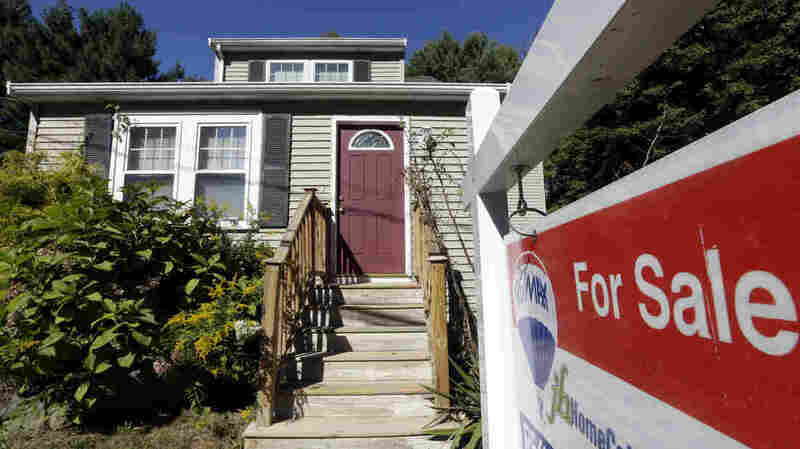 Home Prices Rise Again; Consumer Confidence Dips : The Two-Way The housing sector has been one of the economy's bright spots in recent months. Prices are still going up, but data suggest that the market is cooling or soon will be. Housing has been one of the economy's bright spots. While home prices rose in major cities across the nation during the third quarter, data suggest that the housing market is beginning to shift to a slower rate of growth, according to the economists who put together the latest S&P/Case-Shiller Home Price Indices report. Their statistics show prices rose 3.2 percent in the quarter and were up 11.2 percent from a year earlier. But economist David Blitzer, chairman of the index committee at S&P Dow Jones Indices, says in Tuesday's release that "existing home sales weakened in the most recent report, home construction remains far below the boom levels of six or seven years ago and interest rates are expected to be higher a year from now." Those all point to a market that's cooling or soon will be, he says. Another such sign: The Census Bureau reported Tuesday that the number of building permits issued for single-family homes in October was up just 0.8 percent from the month before. There's one more closely watched economic indicator due Tuesday morning. The private Conference Board is due to release its November consumer confidence index at 10 a.m. ET. We'll update with that news. After a sharp drop in October, consumer confidence slipped again in November, the Conference Board says. Its index fell to 70.4 from 72.4 the month before. When the economy's growing quickly, the index often tops 100. Economists watch the index because consumers buy about 70 percent of all the goods and services companies produce. If their confidence is high, in theory their spending will also be strong — and that, in turn, should prop up hiring.